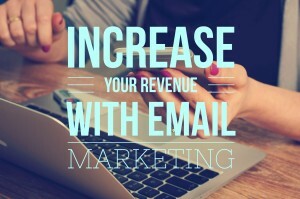 The studies are in and email marketing converts better! We often get a lot questions from clients about how they can build more effective email marketing campaigns to get better conversion rates and more click-throughs. The most important part to starting the email marketing process is selecting the right email marketing software for you. For small businesses who are just starting their email marketing journey, we highly recommend MailChimp because it is easy to use. Offer low cost incentives that are of high value to the customer. Chimpadeedoo installed on Tablet: Collect emails on site that will go directly into your MailChimp list. Set up an auto responder to deliver a special. Other email marketing systems have similar apps. Contest (online or offline): We grew one of our client’s email list by 1/3 with a sweepstakes. The right contest can make your numbers go through the roof. Encourage people to share content on social media sites or to forward to friends. Strategic Pop-ups on your website to get email addresses also work very well. Set up a clear objective. What is your goal? (drive traffic to website, social media engagement, etc) Craft your call to action around your goal. Your email should be consistent with your brand with similar colors, motifs, etc . If your email design is good, your reader should be able to tell that it is from your company before seeing the logo. Most people will read their emails on their phone. A good design is mobile friendly. Keep a consistent format so that it is easy for readers to navigate. Readers are opening the email looking for something valuable. Think value! Depending on the business, this may be special hours, leagues, coupons, drink specials, photos of people there etc. It takes 4-6 emails a month to get an email opened. There are three types of customers. Customer 1: Comes frequently. They will open every email to learn about what’s going on and to take advantage of specials. Customer 2: Comes sometimes, once every few months. They might open one or two emails each month over the next few months looking for an irresistible deal that will bring them in. Customer 3: Comes maybe once a year. They may not unsubscribe because they like the place. It will take more than a special to bring them in. Large annual events or reunions are more likely to bring them in. Most important! Open Rate = Percentage of your email list that opened your email. Time of day email is received: Emails received at certain times of the day may perform better than others. Email Subject: Strong email subjects lead to higher open rates. Content of the last email: If the content of your last email let the reader down, then it may be difficult getting them to open another email. Strive to create the best content that offers the most value to your customer. Click map: Use the click map to determine where people are clicking and the landing pages that they are going to. Treat them as hot spots and during the next email campaign place the most important information there. Test, retest, and test again. Make your decisions based on your data. If you want an email marketing campaign that will increase the traffic to your website and increase leads, then contact VR Metro. Our email marketing campaigns surpass industry expectations with higher open rates and click through rates. Market successfully now!